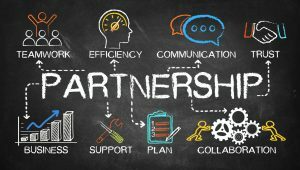 California law recognizes general partnerships as a business entity that is comprised of two or more entities with a purpose to carry on a trade or business. In a general partnership, each partner contributes money, property, labor, or special skills to the partnership. Further, each partner shares in the profits and losses. Most partnerships in California fall under this classification. Under California law, public accounting, law or architecture firms can consider forming a Limited Liability Partnership (LLP). An LLP provides all business partners some limited liability protection. LLPs have to be registered with the California Secretary of State. Additionally, any LLP formed in another state must also register with the California Secretary of State before conducting business in California. In general, a partnership is formed whenever two or more individuals engage in a business (i.e. almost anything that results in profits). Partnerships can be relatively easy to set up, but they do carry legal risk. As a partner of the partnership, you could be personally liable for money owed to creditors, lawsuits, etc. Likewise, you will need to address the general responsibilities between partners, split of profits and losses, and other business decisions. Although not required by California law, it is a good idea to have a solid written partnership agreement. Allocation of Decision Making Power: Outlines how the partnership will make decisions. The process may be different for day-to-day operations vs. major decisions. Outlining the process, in the beginning, can avoid disputes and stalemates later. Disputes: Of course partners hope that disputes will not arise, but having a documented process for how to handle them before they do come up can make or break the business. Contributions/Funding: It is important to document how much each person contributes. Further, what is the process if the business needs more money, or wants to take on investors? The partnership agreement can outline the specifics regarding these scenarios. Compensation: This may mean both salaries and distributions. It should be clear how, when, and at what values they are distributed. Dissolution: If the business ceases to operate (for whatever reason) what is the process. This is important to outline at the time of forming the partnership. Business and life happens and having the process agreed to and outlined well in advance can save disputes later. Death or Disability of a Partner: It can be disheartening to think about this situation, but pre-planning is imperative. How is the partnership going to handle this situation? This includes topics like insurance, inheritance or a buy out of shares, and whether beneficiaries have a say. At the Structure Law Law Group, we regularly handle partnership agreements. We can assist in the advisement and drafting of your partnership agreement. Please contact us at 408-441-7555 or email us through our online contact form for more information and to schedule an appointment to speak with one of our experienced lawyers.